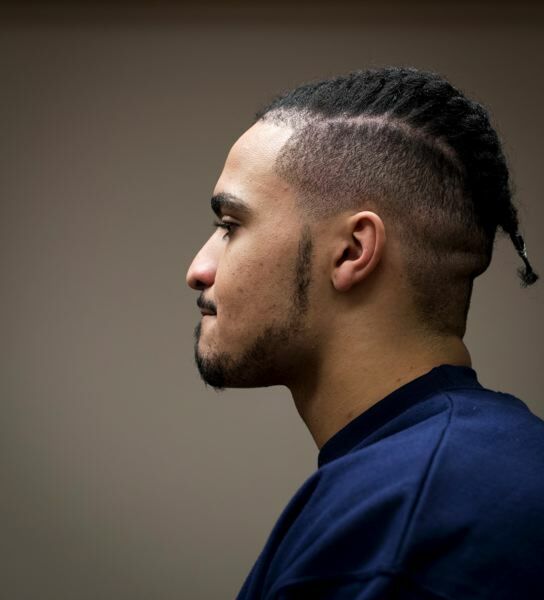 RATTLED: What role did concussions play in Jonathan Boland's rapid decline from star quarterback to state inmate? 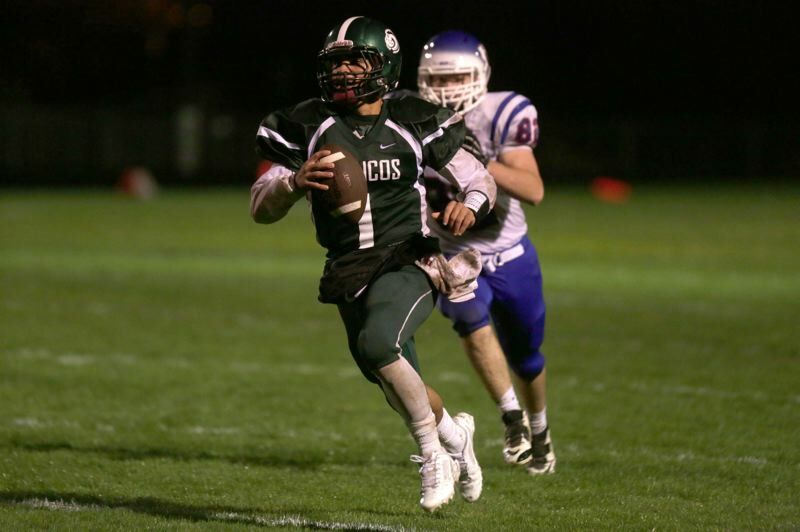 Jonathan Boland jogged onto the Parkrose High football field, making his varsity debut in September 2011, proud that he was among the few freshmen talented enough to play with the upperclassmen. He wore a medium-size jersey and a thin mustache, still going through puberty and uneasy about how much older everyone else was. "It was a scary time in my life. I was 14 years old playing dudes that were signed to Oregon," Boland said, referring to this dude: Brett Bafaro, 6-foot-2, 220-pound senior linebacker with Hillsboro's Liberty High School, who would go on to play for the Ducks. The game was expected to be a blowout. 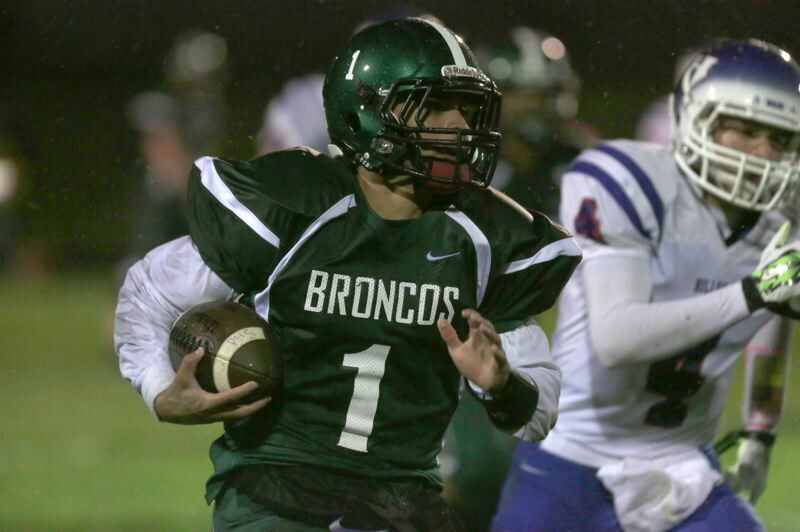 Bafaro's Liberty Falcons were contending for the state championship, while Boland's Parkrose High Broncos were not. Boland buckled his chin strap and got limber, aware he and his teammates were David playing Goliath. He was sent out to play safety. On one series, Liberty handed off the ball to their running back. Boland watched as the running back galloped toward him, like a centaur holding a football. Inside, he panicked. "I was more focused on not getting hit than delivering the hits," he said. He dove for the legs. The Liberty running back barely slowed, stepping around him, with the contempt some people have for beggars. On another series he kept his eyes focused on the quarterback, trying to anticipate the play. He took note of the quarterback's posture, the way his shoulders were angled. He went where they pointed. He'd guessed right. He leaped into the air and intercepted the ball. He was in disbelief. His teammates rushed to congratulate him. He jogged off the field, hearing his name on the loudspeakers, his chest swelling with pride. Parkrose would lose that game by one possession, 21-14, nearly upsetting the championship contenders. And in that moment, with his mother cheering in the stands and upperclassmen patting him on the helmet, Boland discovered something. "It was magical," he said. It was one game in a second-tier conference, in a city with more enthusiasm for soccer than football, but he found meaning. By the time he returned to the bench, he already was chasing the feeling again. "It triggered something in me to push me to go to college for football." Boland said, "After that first game I said yes. I told myself, 'I must get a scholarship to play football in college, anywhere.'" Boland would lead the team in interceptions that year, earning honorable mention all-Northwest Oregon Conference. Five years later, Renee Boland, hears a knock on the door. She opens it and finds her son standing there. "I didn't even know who this kid was," she said later. "He just looked like this wild person who had not slept in days." Jonathan, her youngest son, the one to be on ESPN, to land their family name in the newspaper, seems broken. "He just came in, sat down on the couch and started crying very hard," Renee said. She asks him what's wrong. "I don't know," he says. Then he reverses himself. "Mom just help me, just help me right now. I messed my life up." He confesses some things he'd done. The next day, in another part of town, a new case lands on Det. Darren Posey's desk. The case tells the story of a boy, a sport and the Faustian bargain between them. Jonathan Boland wanted everything: money, fame and a life beyond his blue-collar Portland neighborhood. Football wanted everything from him: a willingness to sacrifice his own blood for sport. His is the story of who got what. And the role that concussions may play when athletes betray themselves. The Parkrose School District began as one schoolhouse on Northeast 122nd Avenue and Sandy Boulevard, in 1885, and for a hundred years was mostly left alone. Then Portland grew. Gentrification refugees fleeing rising rents arrived in Parkrose. Now the neighborhood is a kind of antechamber to the unbranded cities beyond, where the discards of Portlandia are at home. Among students in the district, 73 percent qualify for free or reduced lunch. And while Portland is one of the whitest big cities in America, students of color make up 70 percent of the population at Parkrose High. It is a neighborhood at odds with the rest of Portland, producing the kind of friction that could make young men want to hit things. Jonathan Boland came to football in sixth grade via the Portland Police, who sponsored a youth league to divert at-risk kids into team sports. One might expect the local high school team to be a natural fit for youth like him, but even The Mid County Memo, a newsletter circulated monthly in Parkrose, wrote of the team, "has been a running joke for nearly two decades." Tim Price, the school's head coach at the time, told the Memo, "The kids don't want to come up here and play." If football coaches gave at-risk youth meaning, they weren't the only ones recruiting. Parkrose gangs drew from the same well. The high school had trouble just maintaining a varsity roster. Boland changed that, for a time. A week after the Liberty game, following a punishing defeat at Putnam High, Boland limped to class, bruised from the game. "My neck area, my trapezoids, my shoulders, they were banged up, and I never been banged up after a football game," he said. Students approached him, congratulating him on being named the starting quarterback in the upcoming contest against Wilson High. He remembers hearing things like "Congrats, bro." He thanked them and tried to play it cool. The senior quarterback, Zach Abney, needed to sit out for a week from an ankle injury and the sophomore backup quarterback was snubbed. All eyes were on the freshman now. The fear returned. "You could tell I was nervous," Boland said. The game plan against Wilson called for slant routes, simple plays meant to ease him into the quarterback role. But he kept throwing the ball into the ground. Pass rushers were getting in his face and forcing him into bad decisions. Then he discovered something new about how to play quarterback. This time, though, rather than throw the ball away, he did one of the most instinctive things one can do when being chased: he ran. Boland slipped past the defensive line, maneuvering like a motorcycle in traffic. First down. He broke more than 20 yards, as he remembers, then returned to the huddle. The upperclassmen patted him on the helmet. He heard someone say, "Good play, bro." One of them told him to "do it again." So he did. Another first down. The Parkrose team found itself surviving in games. Big, lumbering defensive ends came around the edge, looking for Boland, trying to get their arms around him, wrangle him in the backfield. But he had different ideas, like a chicken taking it upon himself to be cage-free. He made highlight reels from these encounters. Broken plays where he improvised, shimmying out of a tackle, bobbing and weaving. He was reducing the game into a kind of freeze tag, seeing how far he could get before they touched him. When Boland took over as starting quarterback a year later, Parkrose's score per game doubled from an average of 14 to 28 points. But as word spread of his talents, he no longer would walk away from plays unscathed. Once coaches knew Parkrose had a mobile quarterback, they could plan for it: set edges and contain, dare him to throw, force Parkrose to play football the way everyone else played. If Boland's Parkrose rise was new money, on the night of Oct. 5, 2012, they met the old money: Sherwood High School. Tim Curran, publisher of the Memo, described the team this way: "Powerhouse, juggernaut, unstoppable, mostly white kids. Loved kicking the crap out of inner-city schools." That night, Curran recalled, the air was charged. "The racial thing is just a tinge, but," Curran said, "It's just a little bit different, you know, when they take down the cocky black quarterback. "They did try and hurt that kid," Curran continued. They were out to punish. Because they knew if you got Boland out of the game, it's over. He was that team." Boland remembers rolling out, looking for Marshawn Edwards, his best wide receiver and best friend. A Sherwood defender was after him. So Boland made for the sidelines, hoping Edwards could get open, but quickly approaching the edge of bounds. He threw the ball into double coverage, as he got hit from behind. Boland remembers being on the ground and hearing a ringing. He remembers bright flashes, like somebody was flickering the lights off and on. He stood up and had blurry vision. His team was walking off the field — he learned later that he had thrown an interception. In the moment, he thought to himself, "This feels different than a regular headache." If you would have asked him if he thought that headache was a concussion? "I would have said concussions aren't real." 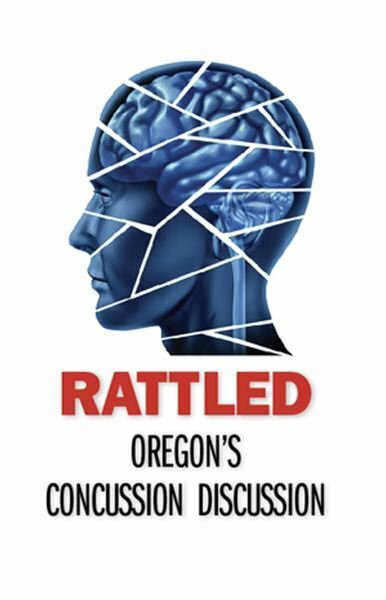 Lawmakers in Oregon were among the first to recognize that high school sports concussions were not only real, but largely ignored. Ten years ago, the Legislature passed Max's Law, requiring a release from a medical professional before a student like Boland can return to play following a concussion. Boland visited the school nurse 10 days after the game, who noted in his file: "Improving slowly but continues to be symptomatic with significant use of brain…. He is unlikely to return to play this week." In the two and a half games Boland had to sit, Parkrose scored a combined 20 points. He wanted to return for a play-in game that would give Parkrose the chance to make the playoffs for only the second time in 26 years. One way for Boland to quicken his return was to pass an ImPACT test (Immediate Post-Concussion Assessment and Cognitive Testing). It isn't something you can study for — it probes mental functions like attention span and memory. He failed his first ImPACT test and there is no record of Boland passing a second one. But less than four weeks after his concussion, he was cleared by his family doctor and allowed to return for the play-in game. Parkrose lost 56-20. Later, much later, Boland whispers to himself, "I'm so … dumb." 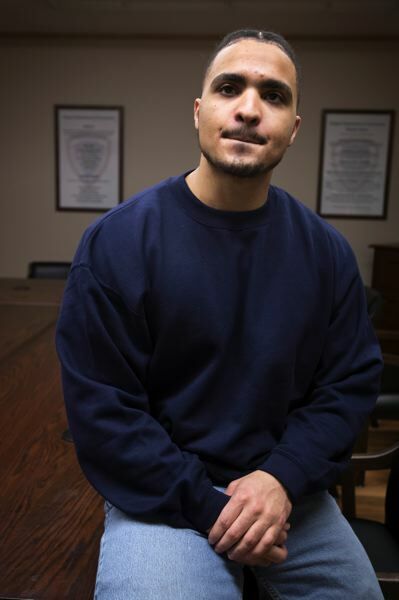 It was just past 10 a.m. inside the downtown interrogation room of the Portland Police Bureau. "Get into ... maybe your frame of mind," Det. Posey said. He is sitting across from Boland. The interrogation has been without friction. Boland hasn't asked for a lawyer. But Posey is curious. "I saw some of the news reports and stuff about, you know, what happened with the concussions," he said. is a joint project of InvestigateWest, Pamplin Media Group and the Agora Journalism Center, made possible in part by grants from Meyer Memorial Trust and the Center for Cooperative Media. Researcher Mark G. Harmon from the Portland State University Criminology & Criminal Justice Department provided statistical review and analysis. The New York-based Solutions Journalism Network provided training in solutions-based techniques and support to participating journalists. Components of this project, which will include video and audio files, charts and graphs, will be hosted online by both InvestigateWest and the Portland Tribune. A sincere effort to explain concussions, beginning with the definition of the word itself, is more challenging than it seems. Try it. You may find yourself listing causes (blow to the head) or symptoms (passing out, seeing stars). But what exactly is a concussion? The common image is a brain bumping against the inside of the skull and bruising. That understanding creates the kind of danger for athletes that "luck" creates for gamblers, a narrative that allows a person to tolerate more risk than they might otherwise. There isn't any bruise to observe, a concussion doesn't show up on any brain scan. We can't see it, but we know it exists. Much like a black hole's gravity reins in the stars around it, a concussion creates a constellation of symptoms that prove a medical event has taken place. The medical event is this: a specific threshold of G-force visited on the head, the slight increase in push that's maybe the difference between fun and tragedy on the playground swings. The G-force causes the brain to whiplash inside the skull, the neural connections that make up the brain stretch. At the microscopic level, there is a tug of war between two individual neurons in different states of inertia, the link between them, called the axon, stretches until it rips apart from the stress. What's lost could have been one tiny part of a mosaic that makes up a memory from childhood. But it gets worse. The broken axons, like a busted gas line, secrete chemicals that aren't meant to be out in the open, choking the neurons around it — more of your childhood memories — spreading a small cloud of death, until the image of a nice thing your mother did for you once is now corrupted, partly floating as detritus in your head, to be discarded. A concussion is a tiny dismantling of yourself, in that way. To understand chronic traumatic encephalopathy, the condition discovered in a former football player by Dr. Bennet Omalu, return to the observation of those broken axons spilling toxins. The tau protein emanating from the severed connection can clump and nestle itself in the brain, strangling it. The latest research suggests that even if a blow doesn't meet the threshold of force (95 Gs is the consensus) to cause a concussion, a lesser amount of force, a subconcussive hit, still contributes to CTE in that enough force causes the microtubules inside an axon to snap, and secrete tau proteins that way. In other words, there are consequences to being hit in the head.